Collie returns and he, Lauro, & Mickey talk Mourinho, Champions League, and Lauro’s love of Wolverhampton. 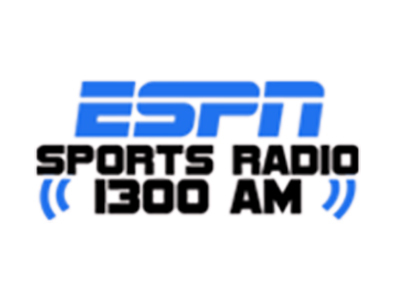 EPL 1300 with Lauro, Mickey and The Gooner and special guest Lindsay Patterson, sideline reporter for FC Cincinnati. The gang’s all here as Collie returns from assignment to join Lauro, Mickey and the Gooner in the studio. Talking Champions League and looking ahead to the weekend’s ties. Lauro, Mickey, and The Gooner talk International Break, the EPL season so far, and look ahead to this weekend’s matches. It’s Lauro, Mickey, and Todd the Gooner once again on EPL 1300 as we discuss Jose Mourinho, Spurs-United, Clint Dempsey, and much more. The Gooner, Todd Davis, fills in for Collie who is on assignment. Todd, Lauro, and Mickey discuss last week’s fixtures, the possible La Liga strike and more. On the first EPL 1300 of the new Premier League season Collie, Lauro and Mickey preview the season and speak with Matt Gordon about the American Outlaws and Tottenham Hotspur. Todd “The Gooner” Davis again joins Lawro and Mickey to recap Week 2 of the World Cup. On this special World Cup edition of EPL 1300 presented by Estrella Jalisco, Lauro and Mickey are here, Collie is out on two yellow cards so Todd “The Gooner” Davis fills in once again.